Where can you find the Best NYC Hypnosis Sessions? The best NYC Hypnosis sessions have the power to transform your life. At the New York Hypnosis Center, our staff members are dedicated to helping clients achieve and maintain profound changes in their lives. We have the privilege of helping you achieve goals like quitting smoking, losing weight and getting rid of bad habits. Led by Eli Bliliuous, our center offers the types of life coaching, hypnosis, NLP, EFT and kinesiology sessions that you need for powerful transformations. At our center, we are able to help with a variety of issues. Hypnosis has been proven extremely effective at pain management, overcoming phobias, alleviating depression and treating PTSD. Our hypnotherapy sessions can be used for goals and obstacles like sleep enhancement, creative blocks, self-esteem, negative self-talk, peak performance, stress relief, improved test taking, stammering, substance abuse and relationship enhancement. From moving on after a break up to increasing your spiritual awareness, hypnosis can help. You can check out our list of sessions available or contact us for information about customized session goals.To see for yourself what makes our sessions the best NYC hypnosis sessions, watch the video below. We can help you reach your goals by using the latest research and information on NLP and hypnosis techniques. 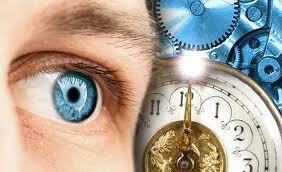 Hypnosis is a natural state of mind that allows you to access your innate abilities. You already have all of the skills necessary to transform your life, but you have to learn how to unlock these abilities. Through hypnosis, you can overcome negative habits and beliefs while bringing about positive changes in your life. The best NYC hypnosis sessions allow you to stay in control while you are guided through this transformational healing experience. 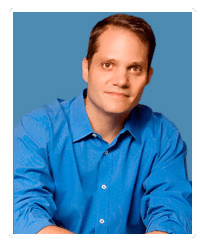 Our founder and president, Eli Bliliuos, has years of experience in the field of hypnosis. Due to his extensive background in the field, Eli regularly trains hypnotists throughout the country. We offer advanced training sessions for hypnotists who want to learn about a subtopic in hypnosis or who simply want to increase their knowledge. Specialty areas like relationship obstacles, medical hypnosis, regression and substance abuse are possible training topics. To make it easier for hypnotists to receive this training, we offer sessions in a number of major United States cities. Pre-recorded videos and online live-streaming sessions are also available. You want to make changes in your life, but work and family activities can get in the way. We know how difficult it is to schedule an extra 20 or 30 minutes into your day. With this in mind, we have alternative options for individuals on a time schedule. Instead of coming to the center in person, you can opt for phone, Skype or webcam sessions. Mp3s are also available for you to practice what you learn in the session or as an alternative to coming into the center. For in-person sessions, we have a number of location options in Florida and around the tri-state area. We offer services in Manhattan, Miami Beach, Hollywood (Florida), New Jersey, New York City, Orange County, Staten Island, Nassau County, Queens, Brooklyn, Staten Island, Pennsylvania, Miami, Bronx, Connecticut, Rockland County, Westchester County, Fort Lauderdale, Long Island and Suffolk County.